From our original location on Fir Hill in Akron, OH to our current state of the art facility in Green, OH, JW Color has always serviced local and national accounts from Northeast Ohio. Ron Johnson and Horst Werner founded JW Color in 1977 as J&W Roto Film Co., a prepress house servicing the rotogravure packaging market. Over the years the business adapted to encompass prepress services for litho, flexo and screen printing. In 1999 we purchased our first large format printer which has become our major focus ever since. 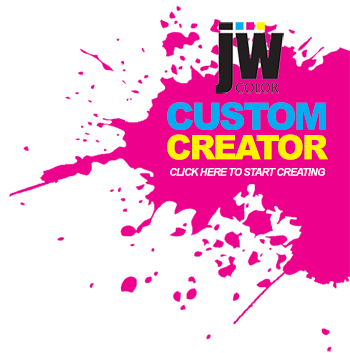 Today JW Color is a leader in the large format printing market. We have continually updated and added equipment to become a full service graphics company that can handle a project from the initial concept to printing, finishing and fulfillment. Our experience in high-end color separations sets us apart and enhances our ability to ensure that you are happy with your graphics project. Whether it is a complete five hundred store POP refresh project or a set of window graphics for a single location, you can be sure that we will exceed your expectations.